Barcelona’s Hospital Delfos will implement a healthcare improvement plan based on home-based self-monitoring for patients to reduce the recurrence of chronic urological diseases such as renal and urinary lithiasis (kidney or bladder stones) and urinary infections, among others. This will also help strengthen patients’ proactive participation in the clinical decisions that directly affect them. By promoting quality and cutting-edge technology, Hospital Delfos will incorporate a new medical approach which internationally renowned experts are recommending in order to treat these diseases: urinary pH control through the innovative Lit-Control® method. The hospital will launch a Healthcare Protocol for a prospective and observational study of patients who present these urological diseases. 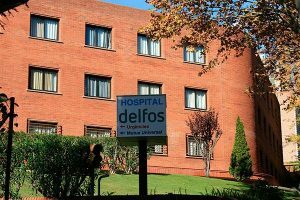 The study has been designed jointly by the Urology and Emergency care teams of Hospital Delfos under the guidance of Dr Carlos Torrecilla, director of the Urology Department, and Dr S. López Coll, director of the Emergency Care Department, as well as Devicare’s scientific team. When a patient enters emergency care with any of these diseases, their urinary pH will be measured and if it’s outside of the appropriate range, they will be prescribed weekly monitoring and follow up. Patients will be able to monitor themselves through a medical device equipped with biosensors. These readings will be sent to the medical team and will allow the patient’s urinary pH to be measured simply and precisely from home without having to go to hospital, similar to diabetic patients with a glucose meter. A pH between 5.5 and 6.2 prevents the formation of lithiasis (uric acid lithiasis, calcium phosphate and infectious lithiasis directly, and calcium oxalate lithiasis indirectly). Cystinuric lithiasis can be prevented with a pH above 7. On the other hand, a urinary pH between 5 and 6 improves the efficacy of the main urinary antibiotics and helps to decrease the recurrence of repeated urinary infection. 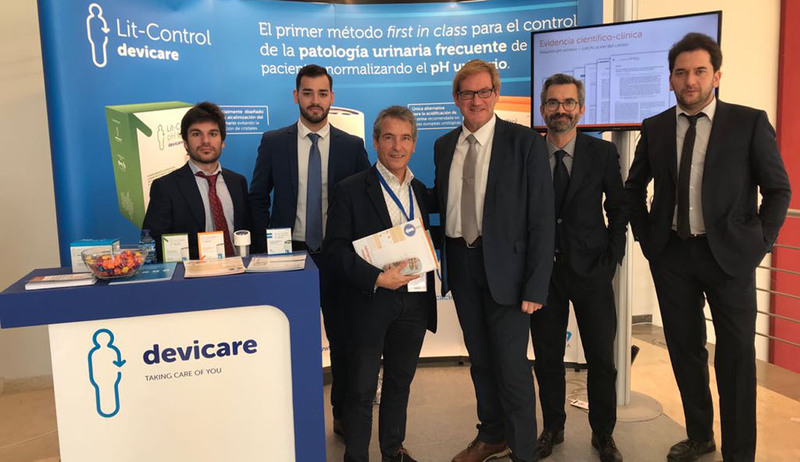 “Apart from recurrence, our goal is also to monitor the symptoms and pain that significantly affect the quality of life for these patients” explains Xavier Peris, Sales and Marketing Director at Devicare.